Hacía ya tiempo que no os mostraba un look con sombrero y con lo que a mi me gustan, decidí innovar un poco, ¿os gusta el resultado? El segundo look lo subiré el miércoles, asi que hasta entonces tendréis que esperar jejejejeje ¡Feliz semana! 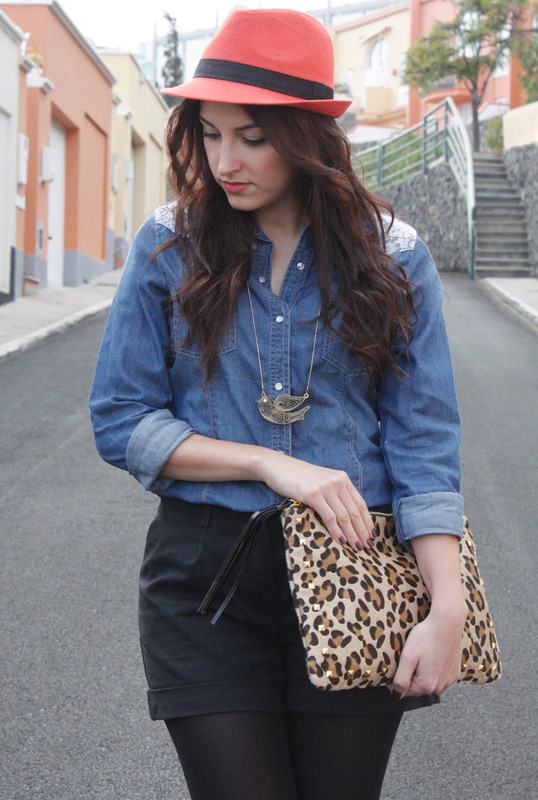 Today I show you a special post, I made 2 looks with the same clothes but differents. This is the first, with the denim shirt that I bought in the sales and as I showed in this post. The bag is from the New Collection of LEFTIES and I love it! I decided to innovate with the hat, do you like it? I'll upload the second look on Wednesday, so until then you'll have to wait hahahaha. Happy week!